Natco Pharma, which draws bulk of its revenues from the US market, thanks to successful products like generic Copaxone, is now turning its focus on Brazil, Canada, and China to fuel growth and also de-risk business model. The Hyderabad-based company is spending 60-70 per cent of its money on these emerging markets and India and only 30 per cent is being spent on the US market. In FY18, the US markets contributed $127 million or about 40 per cent of its FY18 turnover of $334 million. The contribution from the domestic market, rather, was lower at $112 million. Rajeev Nannapaneni, vice-chairman and chief executive officer of Natco, has indicated in an investor call that the company is investing money in Brazil, Canada and while it would continue to put money in the US, but that would be only for niche and complex generics. “I am not very keen on doing many abbreviated new drug applications (ANDAs) in the US,” he said. Nannapaneni said Natco should move away from trying to put bulk of its resources in the US and focus more on emerging markets. This, he expects, would offset any decline in business in the US market. An e-mail sent to the company seeking further details on change in strategy remained unanswered. Historically, Natco has focussed on complex generics in the US with injectables being the key. It had a few successful product launches in the US — generic Copaxone (Teva’s multiple sclerosis drug), generic Doxil (cancer drug), and generic Tamiflu. These limited competition drugs have provided windfall gains for the company in the past two years. 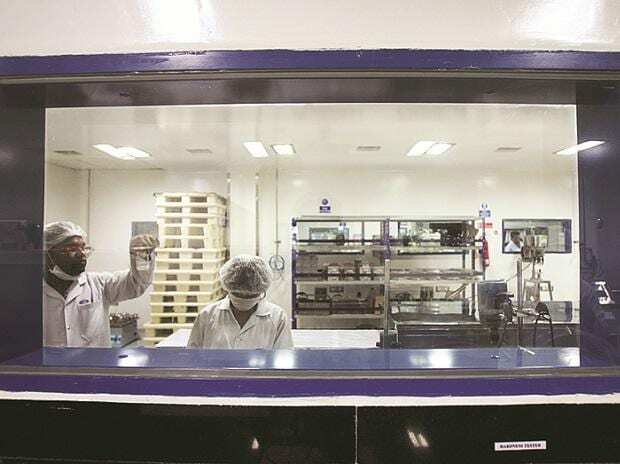 Recently, brokerage firm India Infoline (IIFL) noted that the pharma company has been the beneficiary of its high-risk strategy of going after the litigation-prone molecules. “Generic Copaxone, which was launched in Q3FY18, has been its largest generic so far ($4 billion sales of innovator’s drug). In the past two years, Natco’s combined profit of Rs 1,182 crore was more than the combined profit reported by the company in all the previous years. Despite the record profitability, shares have been stagnant in FY18,” IIFL said. This is possibly because generic Copaxone is likely to have another competitor (now there are three companies in the market) in second half of FY20. “Generic Copaxone is expected drive Natco’s profitability in FY20 as well, however, there is some uncertainty in the investors’ mind about the growth of the company beyond FY20,” IIFL said. Natco management has thus decided to de-risk its revenue base and build portfolios in other geographies. The company recently raised Rs 900 crore, with an eye on expanding footprint in the non-US markets. It already has its own front-end in Canada. Deepak Malik, analyst with Edelweiss Securities, said it was looking to target first-to-file opportunities. Natco aims to clock revenues of Canadian $25 million in FY19. In Brazil, in contrast, it has clocked an annual cash loss of Rs 200 million but the management is confident of breaking even in FY19, Edelweiss said. It has received approvals for its breast cancer drug (letrozole) as the third-generic player and for everolimus tablet (which is used to prevent organ rejection after kidney or liver transplant) as the first generic in Brazil. Natco would, however, stay out of western Europe as a strategy, Nannapaneni had told investors. He had said the company was bullish on the oncology pipeline in Brazil and Canada, as well as it is also betting on its oncology and cardiology pipeline in India. “We are spending money on research and development in these markets. So, we are trying to diversify therapeutic areas. We are probably spending 60-70 per cent of our money on the emerging markets and India and may be spending 30 per cent of our money in the US. Earlier, the ratio was probably the other way round,” he said. As for the China market, Natco hopes to see some product launches in the next financial year as it feels that the new policy allows fast-tracking of approvals. “If you have an approval in a western market you can get an approval within 12-18 months that is the milestone. Hopefully, I think in the next financial year, I am hoping to see some China launches also,” Nannapaneni told investors.